I don't know if I have mentioned this yet on the blog but Mike and I are in the process of building a house (eek!) which is currently scheduled to be completed early fall! I'll be sharing more on this at a later date (we don't even break ground until May) but for obvious reasons we are in super save mode right now! Which means no vacations for us this winter, sad face. 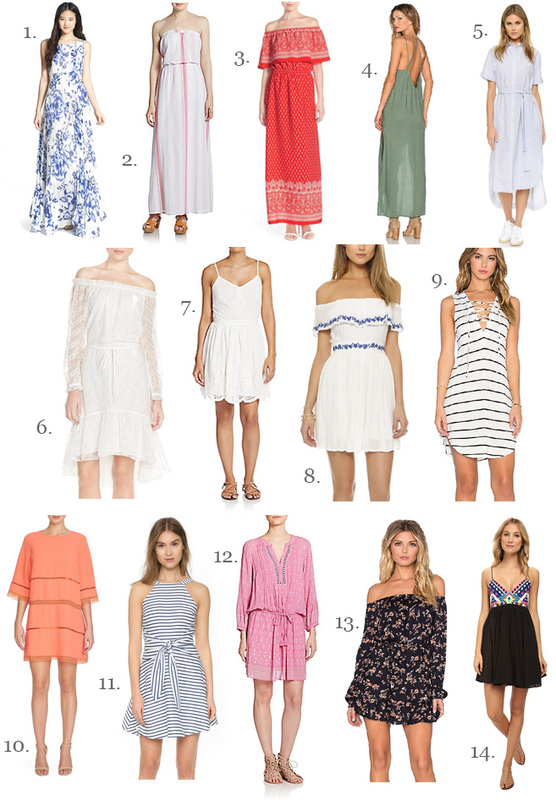 However, I've still been pursuing some of my favorite sites looking at the latest and greatest sundresses for a tropical vacation just in case a free trip happens to fall into our laps (anyone want to gift us one?) so if you're lucky enough to be headed somewhere warm, check out some of my favorites below! Wow you really have me ready for vacation! Perfect dress for a warm getaway! Number 8 is so cute! I wish I had seen that before my beach vacay! This dress is beautiful! Such a pretty print! !